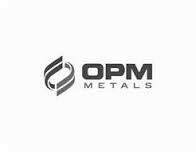 Created in 1974, Ohio Precious Metals (OPM) is the largest American refiner of Good Delivery gold and silver products. Its refining capacity of large amounts of precious metals using the most advanced technological processes has kept OPM at the forefront of the refining industry for decades. Headquarters are located in Jackson, Ohio, spanning some 19,000 square yards entirely dedicated to the transformation of rough precious metals into bullion, all the while respecting international standards. OPM employs more than 250 people. Since January 2014, the company’s been headed by Conor Dullaghan who, prior to that, was the vice-president of another refinery, Elemetal. Ohio Precious Metals offers refining services to jewelers, money-lenders, coin dealers, secondary refiners/collectors, and the banking sector. Since September 4, 2012 when OPM made the official list of suppliers on the Commodity Exchange Inc. (COMEX), its refined products are guaranteed to strictly respect the standards and specifications of the market. OPM uses the latest technology to produce bars and coins of maximum fineness. The metals come from mining companies, but also from recycled metals within the refinery. OPM’s 1kg gold bars and 1,000oz silver bars are primarily destined for the COMEX. Ohio Precious Metals offers a wider selection with silver 1oz, 10oz and 100oz bars. 1oz gold bars are also offered, and so is the classic 1kilogram bar. OPM products are easily identifiable by the brand seal. This simply shows the company logo with the acronym OPM. The internationally-recognized recycling symbol is etched on products made with recycled metals. Besides selling investment products, Ohio Precious Metals is one of the only refiners in the world to have vaults within the refinery itself. These vaults are independently managed by Brinks. OPM customers may store their metals directly at the refinery. Ohio Precious Metals has been awarded many certifications for its professionalism and the quality of its products. In December 2013, OPM joined the prestigious Good Delivery List of the London Bullion Market Association (LBMA). OPM obtained ISO 140001 certification in 2004 and ISO 9001 in 2009. These two accreditations guarantee an expertise and respect of rules in the production and conditioning of precious metals. OPM is engaged in respect for the environment. For example, during the recycling process, harmful products such as selenium, mercury and radioactive materials are eliminated from the production chain. Controls are regularly exercised on the production chain, but also with trading partners, to ensure that the principles of responsible and sustainable trade are respected. All these measures in favor of the environment have brought OPM several labels attributed by CSC Global Services.